Heidi Hornung-Scherr serves as our President. Heidi represents publicly traded and privately held companies in the areas of mergers and acquisitions, financings, securities, and corporate law, with a particular focus on acquisitions and securities offerings and compliance. Heidi's securities experience includes significant responsibility in representing issuers and underwriters on over 20 public stock offerings. She also has primary responsibility for the timely and efficient preparation and filing of securities reports for several public companies and their insiders. Heidi has extensive Section 16 experience and serves as the clearing and filing point of contact for many of our public company insiders. She advises several public company boards on corporate governance matters. Representing a national insurance company in the stock purchase of a competitor that required the negotiation and closing of a competitor from a fractured selling group. Representing a leading non-asset based logistics company in a recapitalization/liquidity transaction for its founder and in the company's subsequent expansion. Representing a $2.5 billion revenue client in the acquisition of a $150 million revenue subsidiary of Wal-Mart and the negotiation of long-term contracts between the buyer and seller. Representing the stalking horse bidder in a purchase of assets through bankruptcy of a $200 million revenue company. 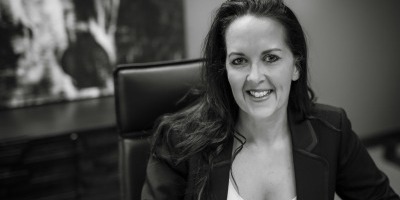 Heidi practices with a dedication to client service and precise execution that has built a strong relationship with clients as well as with investment banks, commercial banks, and other professionals. Heidi has presented at several industry conferences, including: the Capital Roundtable, the Northwestern University Transportation Center Business Advisory Committee, and the annual conference for the American Trucking Associations. Heidi received her J.D. in 1995 from the University of Nebraska College of Law, where she served as a member of the Allen Moot Court Board and received honors for Best Oral Advocate and Best Forensic Performance. Heidi has successful appearances before the Nebraska Supreme Court. In 1992, she received her B.A. from Hastings College in Hastings, Nebraska. Heidi is a recipient of 40 under 40 by The Midlands Business Journal and is a Nebraska Bar Association Fellow.